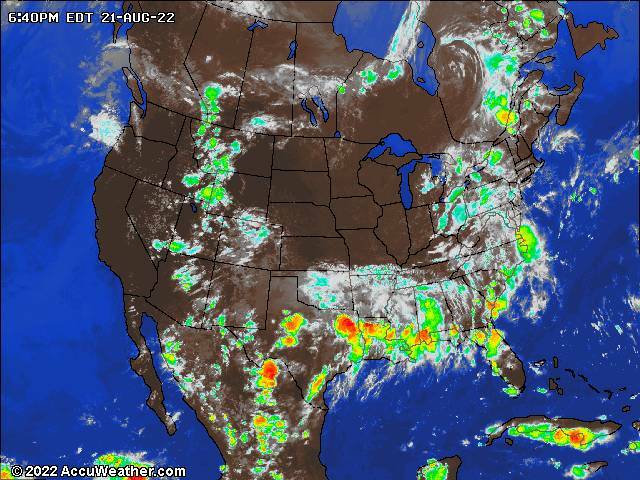 Accurate and up-to-date aviation weather maps and information is essential to the safe and economic operation of any airport, whether large or small. Few things change faster than the weather. Without weather data, your airport and certain scheduled flights cannot operate under IFR (Instrument Flight Rules) conditions, and this can cost your airport or airline money in lost landing fees and services. Terminal Aerodrome forecast supplied by the National Weather Service. A Terminal Aerodrome Forecast (TAF) is a concise statement of the expected meteorological conditions at an airport during a specified period usually 24 hours. The above TAF link is the one used in the United States. TAFs use the same weather code found in METAR weather reports. The TAF code uses the ICAO four-letter location identifiers. In the conterminous United States, the three-letter identifier is prefixed with a K. For example SEA (Seattle) becomes KSEA. Elsewhere, the first one or two letters of the ICAO identifier indicate in which region of the world and country (or state) the station is. Pacific locations such as Alaska, Hawaii, and the Marianas islands start with P followed by an A, H, or G respectively. The last two letters reflect the specific station identification. If the location's three-letter identification begins with an A, H, or G, the P is just added to the beginning. If the location's three-letter identification does not begin with an A, H, or G, the last letter is dropped and the P is added to the beginning. Decoded METAR weather reports from AccuWeather. Automatic Weather Observing Reporting stations for pilots in the United States.